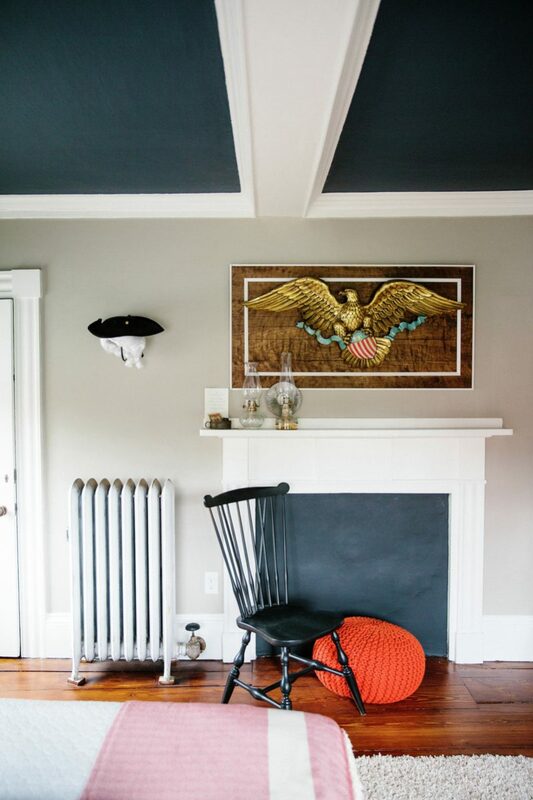 An Eclectic Salem Dream Home (Part Two) | Havenly's Blog! Last week, we shared some beautiful images from a truly magical Salem home. This week, we’re letting you peek into a few more rooms! 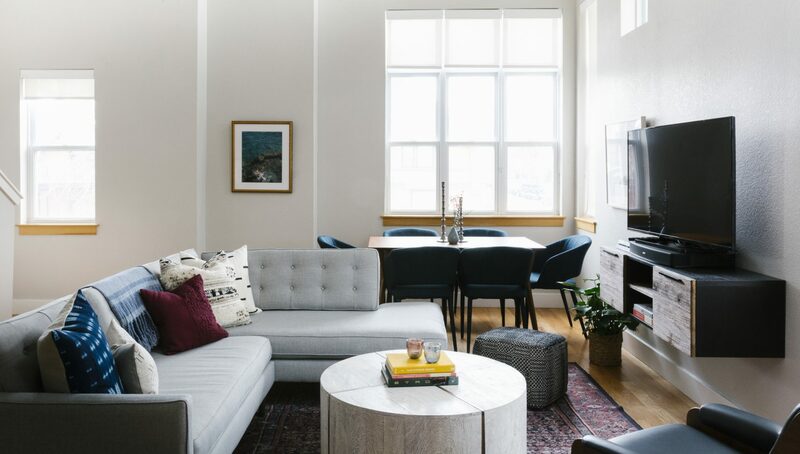 Almost like a showhouse, each room has a different look and feel that as a cohesive unit feel like the perfect tribute to a home with such a historic legacy. Inspired by the home’s past, the owner Stacey decided to create rooms inspired by the eras the building passed through. 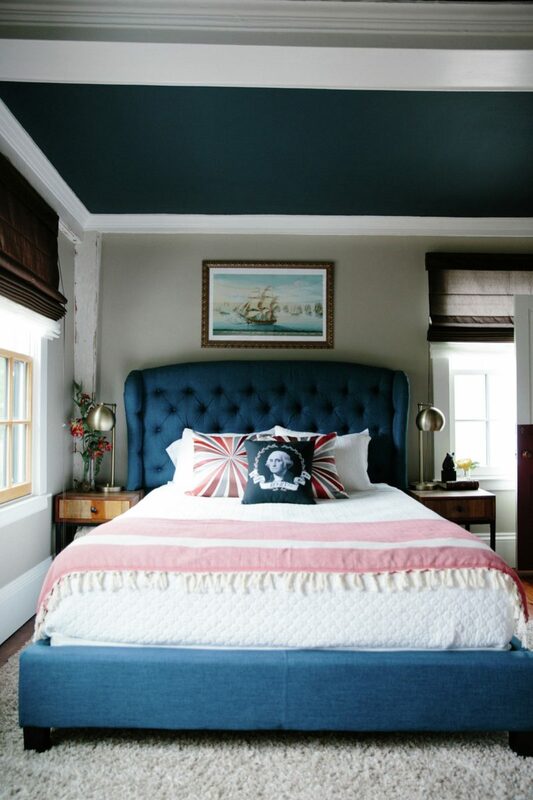 In the guest bedroom, Stacey and her designer were able to create a space inspired by the colonial past of the home. Antique accents mingle with a brighter color scheme that evokes a traditional eighteenth century look. 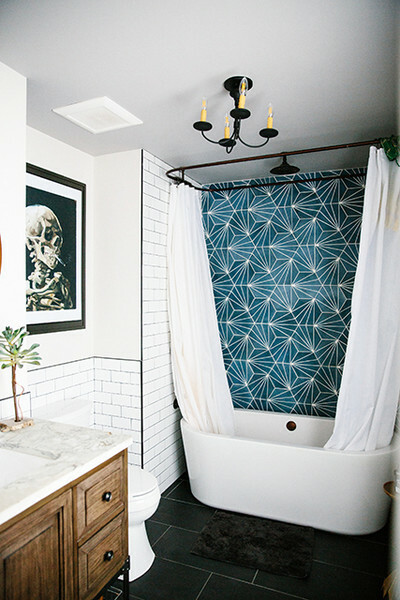 A bathroom extends the home’s moody color palette with a dramatic tile shower surround. Even with the typical bathroom furnishings, Stacey’s style peeks through. Another dramatic light fixture and a skull art piece complete the space. 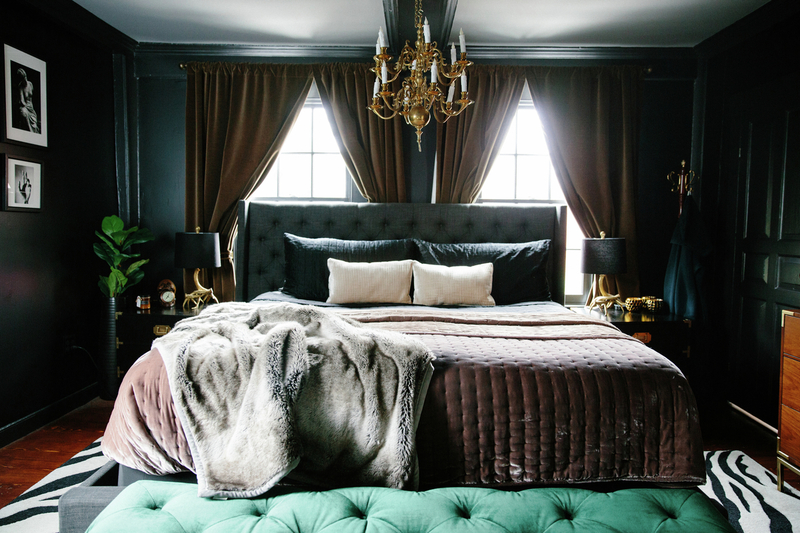 In the master bedroom, black walls create a cozy, dramatic feel. After finding a chandelier from a french monestary, Stacey knew she had the basis for a glamorous, dramatic space. She complimented her moody paint color with dark, lush bedding. A mid century mod dresser adds levity to the space, while fun accessories add just the right amount of quirky-cool. 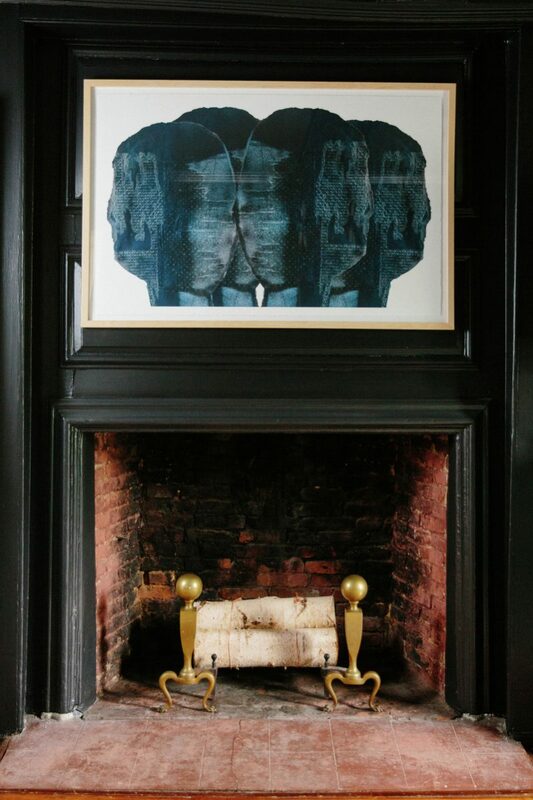 All in all, this home is a deliciously detailed space that pays equal homage to owner and history. 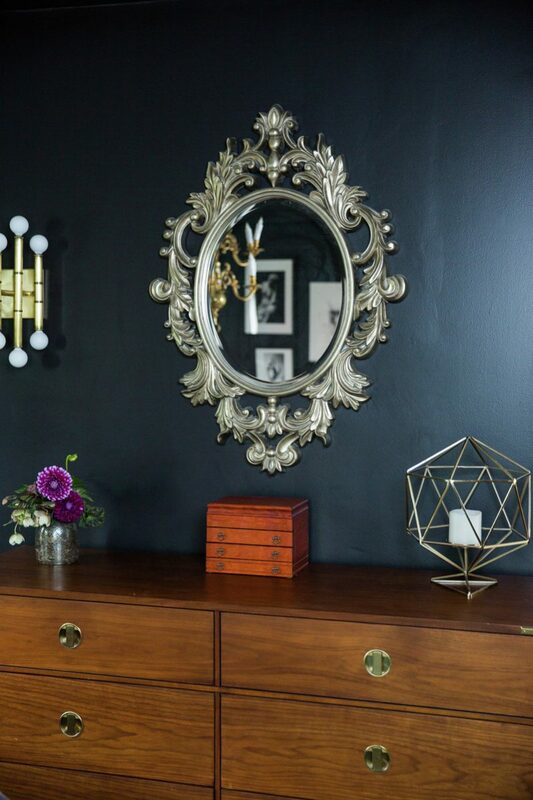 Stacey and her designers were able to create the perfect Salem forever-home. Our only regret is that it isn’t available on Airbnb.